Our aim is to provide a quality, clean, comfortable and well equipped holiday cottage from which you can enjoy your holiday in Ingleton. Here’s what people have said via TripAdvisor. NB booking direct with us rather than via TripAdvisor means you do not incur a booking fee. We are also very pleased to be able to share a few of the recent comments/reviews left by our guests in the visitors’ book. We would like to thank our guests for these kind comments. We had a brilliant time. Perfect for a family holiday. The cottage was located in a quiet yet central part of Ingleton. We absolutely enjoyed the quiet of the cul-de-sac. The cottage was only a few steps away from the shops, restaurants, cafes and the walks. Jenny welcomed us on our arrival with some instructions and provided us with an informative and useful file. Arrival refreshments and all equipment for the children were on hand including highchair, cutlery, cot, stair gate and even bed guard. The children enjoyed the fantastic children’s playground and the heated open air swimming pool. We also explored the surrounding villages and visited the soft play centre situated nearby on a rainy day. As the weather was not very nice most of the week, we were all the more glad to have that comfortable and cosy house where the children had everything they needed and much more – various toys for the kids including books for any age. 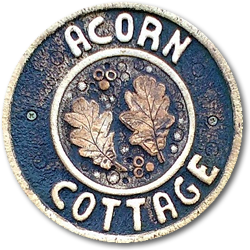 We have stayed in various cottages for holidays in the past and your cottage surpasses every one of those! It is so very well equipped and warm, spacey with lots of added extras to make us feel comfortable. Your book of information is very helpful – we visited Feizor Cafe and enjoyed lovely food, we wouldn’t have discovered this place without your detailed info, Elaine and the staff there made us very welcome. Our 3rd consecutive year in Ingleton, we leave happy again and will be back. Waterfall Walk, Hawes Cheese Factory, Settle Falconry Centre, Ingleborough Cave, Clapham – Skipton by train, Skipton Castle kept us busy all week. In Ingleton, pool, park, Frumenty & Fluffin, ice cream/sweet shop & fish n chip shop are all worth a visit. This was our 2nd time here and I’m sure we’ll be back as it is such a great house and Ingleton makes for a fabulous base. We managed Whernside – snowy at the top given that the weather is a little different to last Easter. Still managed lots of walks, did some new ones – enjoyed the squirrels at Snaizeholme. Another fantastic week here – weather fabulous. The cottage is like a home from home. Such a brilliant area for walking & cycling, made all the better with Lee’s recommendations & leading services..